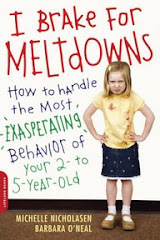 I Brake For Meltdowns: Why Would Her Parents Do That...? Why Would Her Parents Do That...? My responses to all the single, childless folks, staring at me in grocery stores, restaurants and parks. I wrote this when the kids were toddlers and babies. 1. Why do those parents take their kids out in their pajamas? 2. What did they do to cause this tantrum? 3. Why do they let their kids run around with crusty noses? 4. Why do they insist on going out to dinner with all those kids; isn’t it easier to stay at home? 5. Why do they push that stroller in bad weather, like snow and rain? 6. Why do they let their kid go out with a rat’s nest in her hair? 7. Can’t they keep them in their seats? 8. Why do they let their kids run around in the mall? 9. Why would you ever bring a baby to a movie!!?? 10. Why do they let their kids run around in a restaurant? 11. That kid looks like Cousin It. Why don’t they get him a haircut? 13. Why is that lady just standing there while her kid rolls around shrieking on the floor? 14. Why do moms always look so schlubby? 15. How can you stand shlepping kids to soccer and birthday parties all weekend long? 1. On this particular day, it was easier to let my daughter wear PJ’s than have a wrestling match with her on the floor, and, besides, I needed to conserve my energy for when I wrestle her into the car seat. 2. I stated clearly what was going to happen when we went out this morning. I made the outing a lot of fun, by playing I Spy, and Find the Alphabet. I brought along her favorite toy, snack, and drink. I calmly but firmly set limits. I guess I must be doing everything wrong. 3. Dried mucus needs to be surgically removed. 4. Yes, it is easier to stay at home. But if I eat one more chicken nugget, I think I will puke. 5. Do you know what it’s like staying in the house all day reading Green Eggs and Ham? 6. Maybe I’m just selfish by choosing to protect my eardrums from my child's shrieking today. 7. It’s amazing how kids like to pop out of their seats every 30 seconds, whether they are at the dinner table, in a waiting room, or at the circus. You’re right; it’s distracting to others. Next time I’ll try a tazer gun. 8. Did you ever try to stop a herd of wildebeest from stampeding the savannah? You would be fighting against nature, and you could get hurt in the process. 9. Being young and childfree you wouldn’t know this, but in about 6 months, my baby is going to want my intervention every 15 to 20 minutes, all day long. Right now she sleeps most of the day. It’s party time! 10. We have very definite rules about where our children can and cannot run inside a restaurant. First, they must not go anywhere near the kitchen or the waiters; second, they can only sprint down corridors that don’t have glass doors or antique furniture; third, they must say, “Excuse me” if they bump into a customer. There, I bet you thought were REALLY lame. 11. If you find a way--without drugs--to convince a 2-year-old to let a stranger come at him with big pointy scissors, please let me know. 12. I’m almost too indignant to answer this question, but I realize you don’t have a family of your own, yet, so you may need a little enlightenment. It goes like this: Kids need to play. Parents need to play, too. It’s a lot more fun to play with your kids when you don’t have deadlines, school buses, soccer practice, laundry, bills and shopping controlling your schedule. 13. Only a trained eye can see that the mom is helping her child by remaining detached and not giving in to an unreasonable demand. 14. Moms (and dads!) are so fully engaged in achieving remarkable feats like getting multiple kids to school on time with all their individual supplies and lunchboxes that they seldom have time for frivolous diversions like showers, blow dryers and make-up. Let alone dressing up to do errands. There will be a time in the near future when the kids grow up, when these busy moms and dads will once again dress like you do: trying on all sorts of ensembles and spending hours in front of the mirror getting ready for the day. 15. How can I stand it? Heck, this is my new social life. My husband and I fight for the chance to do the birthday party scene, for the chance to mingle with other parents and have some higher level conversations, if only for 2 minutes.